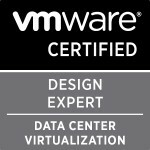 Just a quick question for you, I am planning on getting my MCITP cert as a server admin and was wondering if you could suggest an order to the exams I write? I work in IT as a 2nd line support analyst so have a basic knowledge but havent really touched servers in absolute yonks now! If you are an MCSE 2003 already then the upgrade exams are the fairly obvious route but if you aren’t an MCSE and are looking to start from the start then start with the most simple like windows 7/vista,then server,administration then design. That’s the way i was taught it and the way i did my MCSE 2000 exams and by doing it that way you’ll already know half the information for the next exam by having done the previous one. If you have done a mcp exam already then you can go into the mcp site and map out the routes you can do to gain the accreditation and then decide how you want to do it.